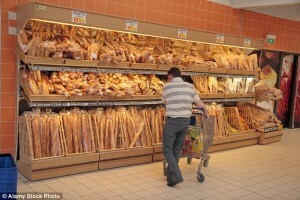 France has decided to crack down on food wastage by becoming the first country in the world to ban supermarkets from throwing away unsold food. Supermarkets will now have to donate any leftover items to needy charities and food banks. The new law was passed unanimously by the French senate and comes after a lengthy campaign from anti-poverty activists, calling for the government to put in measures to reduce food waste. The expected surge in donations to food banks has led to calls for more volunteers and helpers to assist in sorting and distributing it to the needy. Measures will also be put in place to prevent supermarkets from destroying or damaging food before it is thrown out. There has been previous incidents where supermarkets have poured bleach onto items after they have been binned in a bid to deter people from scavenging them from the bins. Having won success with their anti-food wastage campaign in France, activists are now looking to encourage other EU countries to take a stance against food waste. Scavenging– search for and collect from discarded waste. 1. Do these systems be effective? • Supermarket owners will be expected to sign a donation contract, which will outline how the store will give leftover food to charities. • The policy will be further implemented with the threat of fines, up to €75,000 (£53,000), or even a jail sentence for those who disobey the rules. 2. How to make these things better? 3. How good is your city in recycling? 4. What things do you waste a lot of?